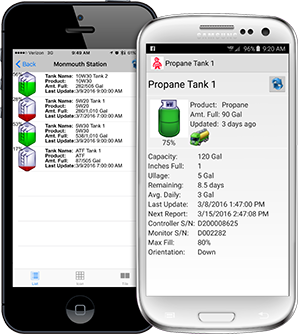 The Centeron Cellular Propane Monitor takes remote monitoring to the next level. The Centeron Intrinsically Safe Cellular Propane Monitor is the first cellular propane monitor approved for use in flammable atmospheres. It is UL and CAN/CSA certified so you can be sure it’s safe to use in demanding environments anywhere in the world. Centeron features ease of installation, long battery life, and a rugged enclosure to ensure a long life of excellent performance. It's battery powered and magnetically mounted to the tank so installation is quick and easy. Just mount it and turn it on. Easily set the reporting schedule and level alarms to suit your application. Email, fax, and text message alerts. User can configure the setpoints to alarm as the level is increasing, decreasing, or passing the setpoint in either direction. 3G CDMA cellular coverage for U.S. The Tank Monitor is magnetically attached to the propane tank. Propane level is measured using a reliable Hall effect sensor that senses float position inside the tank. No tank penetration is needed for installation. 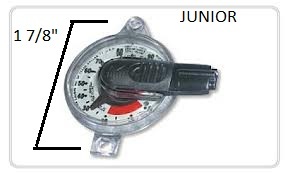 The sensor snaps into tank gauges equipped with the R3D Rochester Remote Ready gauge. Monitor installation takes less than 5 minutes. The Centeron Data Center is an Internet based system that provides access for multiple users from any location with Internet access. The Centeron Data Center offers complete security, redundant backup, simple setup and complete control of your information. The Data Center receives calls directly from the Tank level Monitor each time it transmits information. Blocks of calls are purchased to cover cost of the Data Center. When ordering please enter your tank size (in gallons) and the initial call frequency you desire (weekly, daily, 2X/week, etc). You will be able to easily change this online once your Centeron is installed. We just need this for the initial setup. 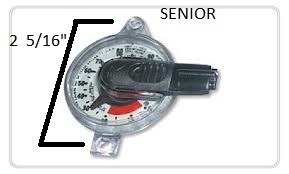 Need a dial face for your Centeron Propane Monitor?